There are two great opportunities to add to your soccer gear collection this holiday season. The Ontario Soccer Summit 2019 is offering two great opportunities to purchase tickets to the March 1-3, 2019 event and add something to your closet as well. 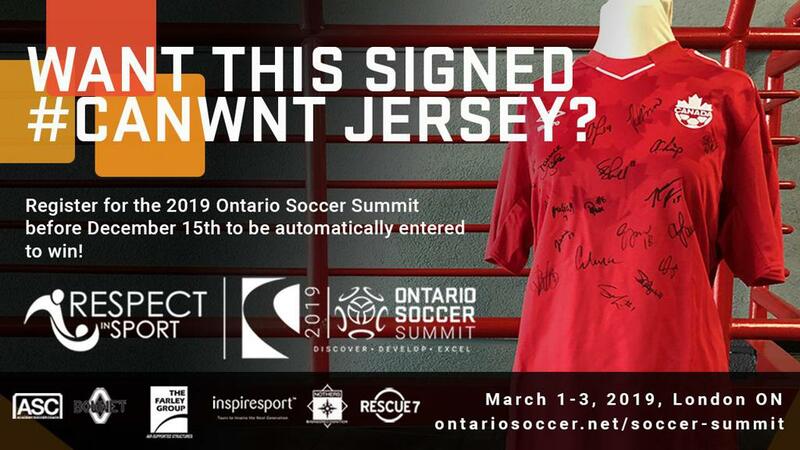 If you want to win a signed Canadian Women's National team jersey, all you have to do is purchase a ticket to the Ontario Soccer Summit 2019 before Dec. 15, 2018 and you'll be entered in a draw to win. To get the best price for your ticket, be sure to purchase and register before Dec. 1, 2018,, when advantage pricing closes. There are also great group discounts available for your Club, District or Academy to assist in making this destination event a team-building opportunity for you in 2019. And if you're organizing a group of ten or more, you're already a winner. 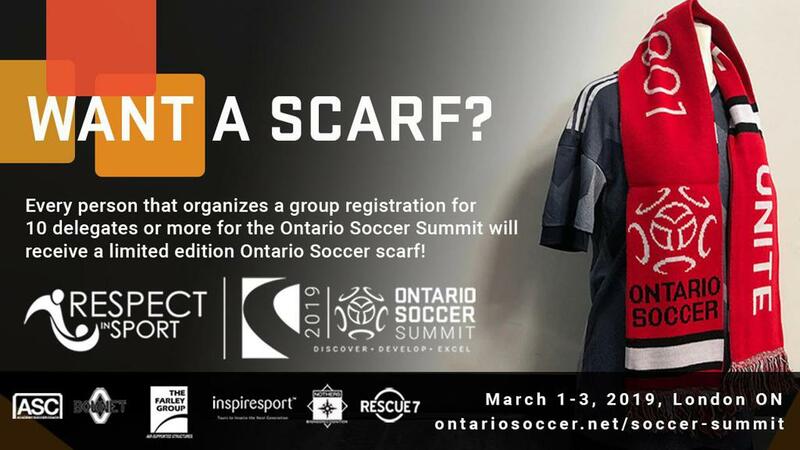 Every person which organizes a group of 10 or more for the Ontario Soccer Summit 2019 will receive a limited-edition Ontario Soccer scarf. Still need convincing? Get caught up on all the speaker announcements, ticket pricing and exciting details for the Ontario Soccer Summit 2019.